You are here: Home / Healthy Living / Are You getting a Good Night’s Sleep? Are You getting a Good Night’s Sleep? Good sleep is a cornerstone of health. Six to eight hours is good for most people. However, surveys have shown sleep related issues (can’t get to sleep, can’t stay asleep, not fully rested in the morning, etc.) are chronic complaints today. Impaired sleep can weaken your immune system. It can also increase heart disease, digestive disorders (ulcers bloating constipation and more), mood disorders (depression, anxiety, decreased motivation, etc.) Sleep deprivation can cause premature aging by interfering with the benefits gained during deep sleep. If you sleep well don’t change whatever your routine is. Continue to support those successful actions! 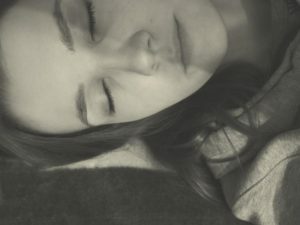 The following tips have worked for some people who DO have sleep issues. Pick out one or two at a time and give them a try. 1. Sleep in complete darkness or as close to it as possible. 2. Keep the temperature in your bedroom below 70 degrees. Studies show that optimal room temperature for sleep is between 60 and 68 degrees. 3. Move alarm clocks and other electronic devices away from your bed and turn the clock so you can’t see it. 4. Avoid using loud alarm clocks. It is very stressful on your body to be suddenly jolted awake. 5. Check your bedroom for electromagnetic fields. They can disrupt the pineal gland and the production of melatonin and serotonin. Equipment is available to do this. 6. Reserve your bed for sleeping. Doing work or watching television in bed can make it harder to relax and drift off to sleep. 7. Consider Separate Bedrooms. Recent studies suggest that for many people, sharing a bed with a partner or pet can significantly impair sleep. If bedfellows are consistently interfering with your sleep, you may want to consider different bedrooms. 8. Get to Bed as Early as Possible. Your adrenal system does most of it’s recharging between the hours of 11PM and 1AM. Make sure your body is allowed to recharge properly by getting to bed early and being asleep before 11PM. Article adapted from Health Freedoms.